The composers Arnold and Hugo de Lantins were natives of the diocese of Liège, but it was in Italy, principally in Pesaro and Venice, that their presence is confirmed between the years of 1420 and 1430. As with the works of Johannes Ciconia, a fellow native of Liège whose time in Italy had preceded theirs, their secular and sacred compositions are preserved in manuscripts copied in Italy. 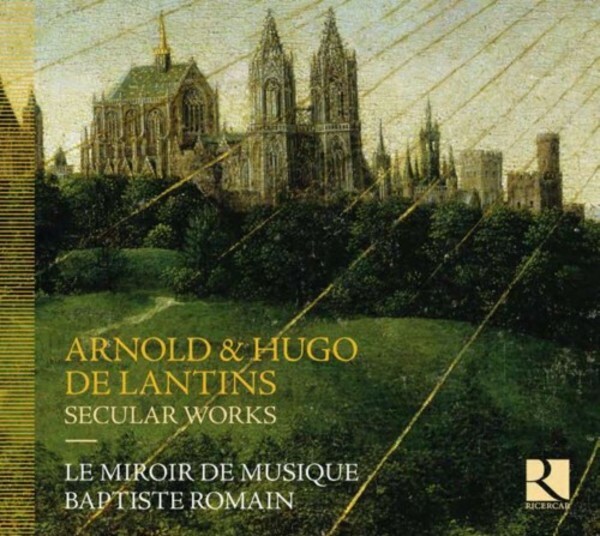 Closely rubbing shoulders with their illustrious contemporary Guillaume Dufay, the Lantins brothers combined archaic traits with the earliest characteristics of the Renaissance. Le Miroir de Musique presents a large selection of French and Italian chansons which enriches our view of the cultural sophistication of the Italian courts at the start of the 15th century.